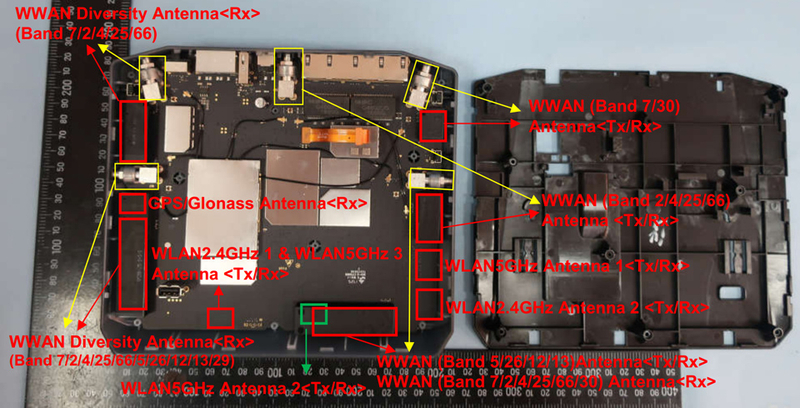 I am trying to improve the LTE performance of my ZTE MF288 Turbo Hub by installing external antennas, but I can't figure out which ones of the 5 antenna connectors are used for wireless reception and which ones are for the wifi if any. I am pretty sure each connector has a specific frequency range allocated to, but I have been unable to find any technical documentation about this device anywhere. 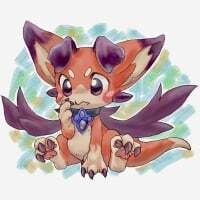 Anyone here has access to some technical literature about the ZTE MF288? Anyone knows the brand and model of the LTE module used in this device? Adding in @razor512 to see if he has any insight. 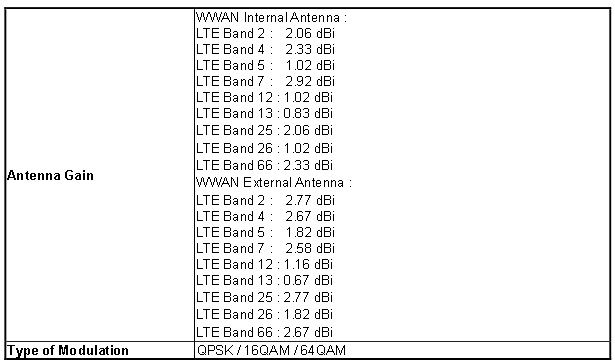 Seems the FCC has a decent list of the antennas in the device. Also seems all of the WiFi antennas are internal only PIFA antennas. 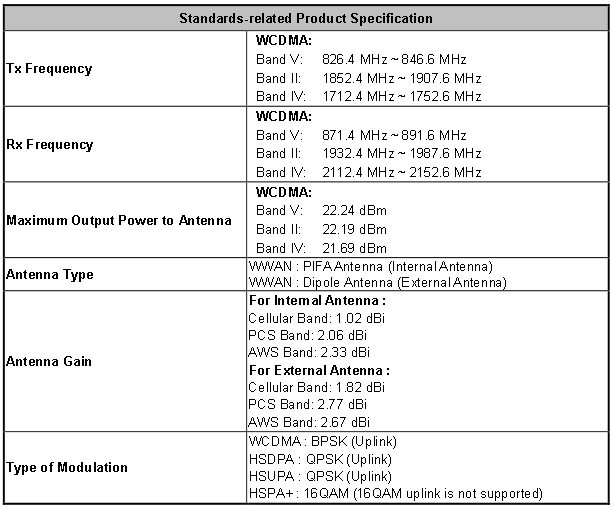 Here are the specs for the LTE antennas and transmit power for the LTE radio. If you are looking to replace the antennas for better reception or other needs, focus on the antenna gain for the frequency ranges you are working with, and also know that it is not uncommon for an antenna that advertises 4-5 dBi of gain, to only give 1-2 dBi gain in the frequencies you actually want to use, thus antenna tuning is important. Most factory default antennas for devices like this, stick to lower gain antennas in order to ensure a more omnidirectional behavior (thus not requiring as much fidgeting with the antennas in order to get a decent signal. If going with higher gain, and you know where the cell tower is, and the device is stationary, then an expensive but effective solution, is to go with multiple tuned yagi or bi-quad antennas (only really useful if you are are a mile or 2 of range from the tower using low gain antennas). For the LTE radio, it seems to be the Qualcomm MDM9250 SOC that is used for its Snapdragon X16 LTE modem. Wow, thanks a ton @razor512 !!! Thanks also for the antenna advice, I am dealing with a quite challenging environnement, so I will likely go with a multiple tuned yagi configuration, now I know the exact band mapping on the device, I'll be able to set this up properly. I am deploying on the fringe of the Bell network. My plan is to use hi gain directional yagi(s) (log periodic), and maybe mimo. Supported bands are 2,4 (primary i think) 5,7,12,13,17 29. Looks like 4 of the 5 antenna connections are appropriate. Not sure until I can do a detailed site survey but there be the chance to hit 2 towers- how far can a 15 dbi reach line of sight? My question is 1 yagi into 1 connection? or maybe 2 yagi and 1 mimo into 4 of the 5, tuning each one independently? Did you ever found out exactly which ports where good for an external antenna to get better LTE signal? i have the same question, i get an outdoor LTE antenna with two SMA connectors, which connector should I connect to?